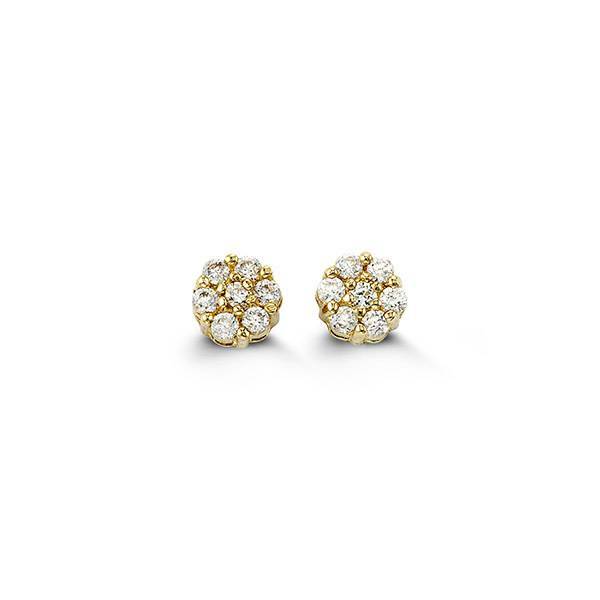 Children's cubic zirconia flower shaped studs crafted in 14k yellow gold. The earrings are set with round cut cubic zirconia stones in a micro pave setting. They secure with post and butterfly backings.